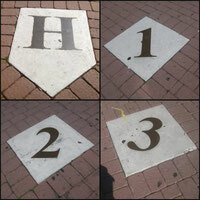 The 1859 Hoboken Base Ball Club (EST: 2012) - Website of hobokennine! 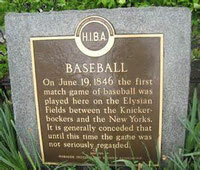 The Hoboken Base Ball Club was a club that appeared in Hoboken in 1859 playing competitively on Elysian Fields. 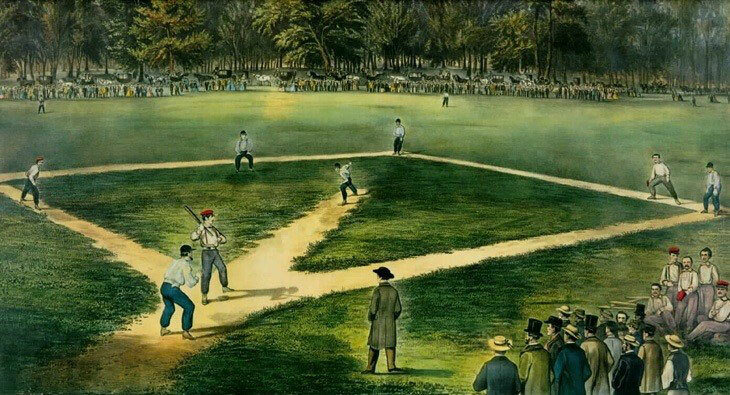 The current club plays baseball using the same 19th century rules as the 1859 club. 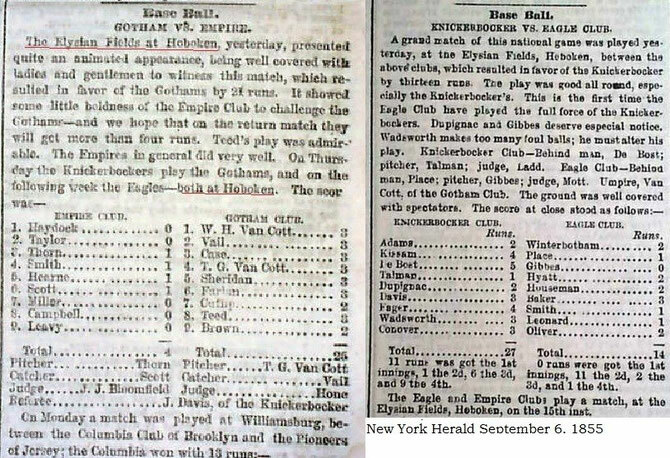 The club uses 19th century equipment and plays against other 19th Century clubs across the United States. 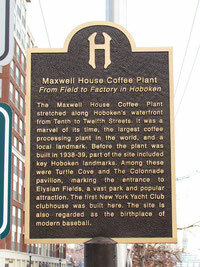 The club is sponsored by the Hoboken Historical Museum. The club's mission is to promote the history of the game and show how it was played during its formative years. The club calls home in the same city where the game itself made a very special beginning. 1/15/19 UPDATE: The 8th season is coming in 2019. 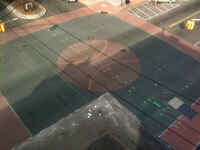 Download the new Hoboken BBC smartphone app. Go to your app store and download "Team App" then search for Hoboken BBC. Live scores, player profiles, schedule, etc Click Here 2019 Schedule is starting to form. THE CLUB is FUNDRAISING TO COVER COSTS FOR THE 2019 SEASON. GO TO DONATIONS Page to make a donation, or shop! 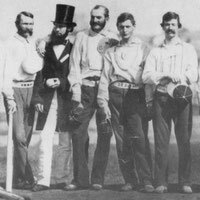 INTERESTED IN PLAYING 19TH CENTURY BASE BALL? The Hoboken Nine is always looking for players. Send us your contact information! Maxwell House/Elysian Fields Marker at 11th & Hudson St.